In 2014, Google announced on their webmaster central blog that they are going to give higher ranking to HTTPS websites in their search engines to encourage everyone to switch their website from HTTP to HTTPS. Therefore, sites that used HTTPS got a boost of traffic over their counterparts using insecure HTTP. 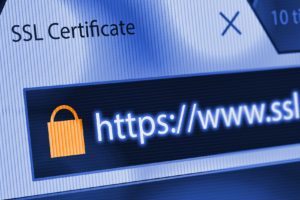 Over the past few years, we have observed many websites shifting towards HTTPS and this move may be a driving force behind this change. But why does it matter? Let’s find out. Hyper Text Transfer Protocol Secure (HTTPS), as the name suggests is a latest and more secure version of Hyper Text Transfer Protocol (HTTP). Basically, they are protocols through which data is exchanged between your browser and the website. HTTPS, unlike HTTP, encrypts the entire communication during this exchange, resulting in a more reliable and secure connection. It is particularly beneficial for confidential online transactions such as online shopping, online banking, and sensitive data sharing, to name a few. Without an encryption, anyone who has an access to your router could capture and steal information that you sent to websites or infect your system with a malware. Moving forward to summer 2018, Google has announced that sites using HTTPS will no longer contain the “secure” tag beside address bar in Google Chrome. As an alternative, it will be replaced by a “not secured” sign for sites that are not using HTTPS. This plan was initially developed in 2016 when Google published an official blog stating that they are moving towards a more secure web. They also mentioned a study in their blog, which suggested that lack of a “secure” sign is not perceived as a warning by users. Accordingly, a red sign showing “not secure” will serve as an effective indicator for an individual using an insecure HTTP website. This new change will help users to understand that using a HTTP site can be risky and insecure, discouraging them from using it. Moreover, Google chrome holds 58.94% of browser market share worldwide (as of July 2018), therefore, this step will definitely have a significant impact on web traffic of the insecure websites. Consequently, many website owners who are still using HTTP will make a transition towards HTTPS in the near future. If you wish to find out more about how this change of secure icon will affect your website or have any other queries regarding digital marketing, contact FORWARD marketing at (773) 227-3269 to speak with a digital marketing specialist.